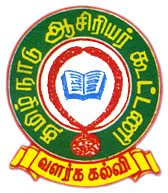 தமிழ்நாடு ஆசிரியர் கூட்டணி: Lr. No.14914/S2/2018-1 Dt: July 18, 2018 Alteration of date of birth of Government servants - Orders of High Court of Madras, dated 11.07.2017 in W.P. No.17792 of 2004 - Reckoning of age criteria based on the S.S.L.C Examination - Guidelines - Issued. Lr. No.14914/S2/2018-1 Dt: July 18, 2018 Alteration of date of birth of Government servants - Orders of High Court of Madras, dated 11.07.2017 in W.P. No.17792 of 2004 - Reckoning of age criteria based on the S.S.L.C Examination - Guidelines - Issued.